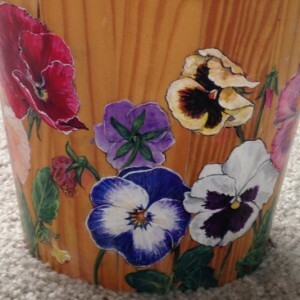 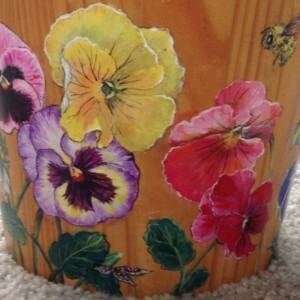 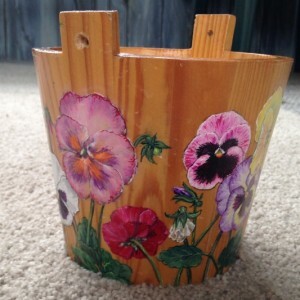 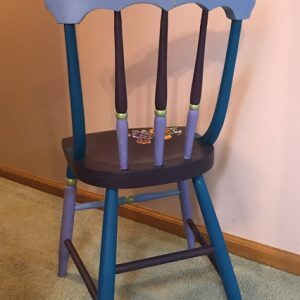 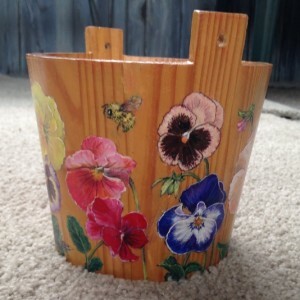 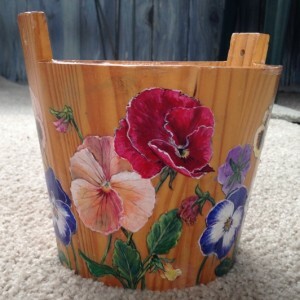 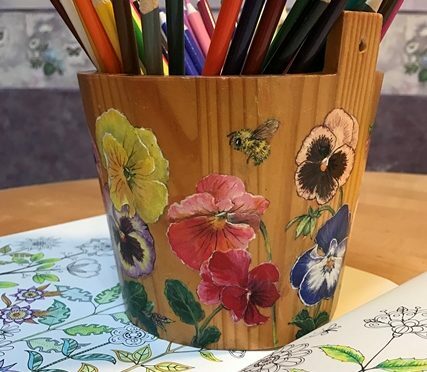 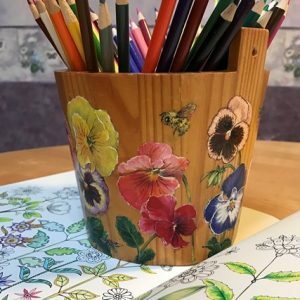 This hand painted wooden pot is 5″ tall and can hold anything you want like a 5″ plant, or your colored pencils (not included), or pretty hand towels in the guest bathroom, or utensils and napkins on the dinner table. 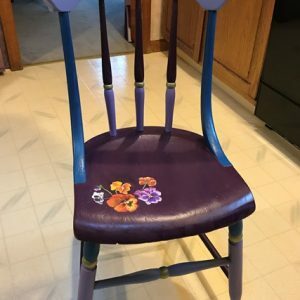 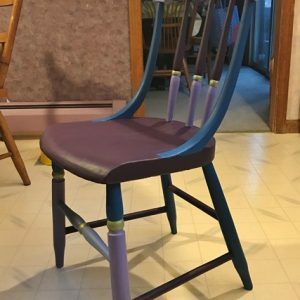 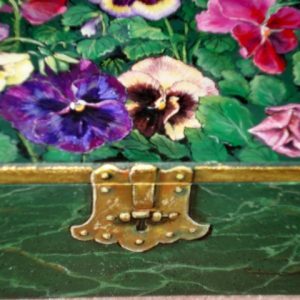 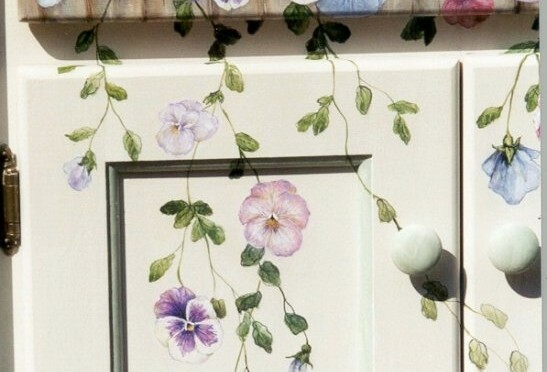 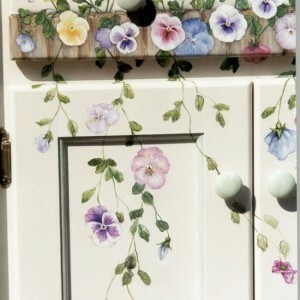 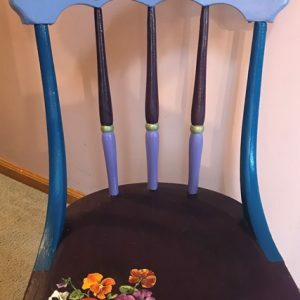 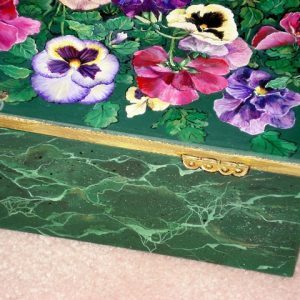 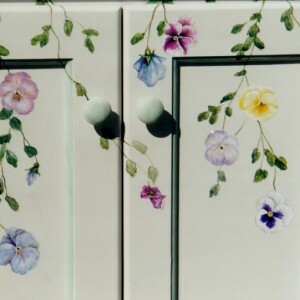 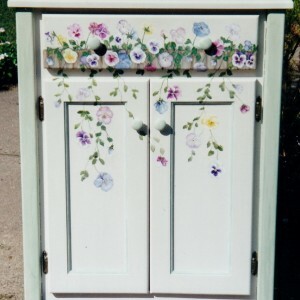 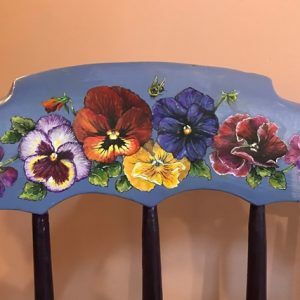 I had such fun painting a wide range of flowers on it. 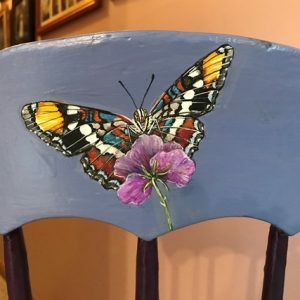 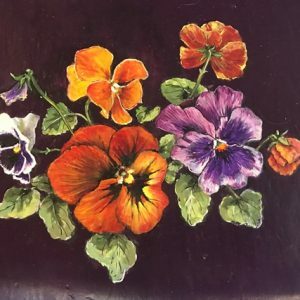 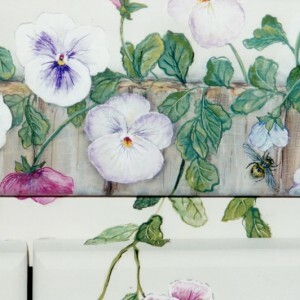 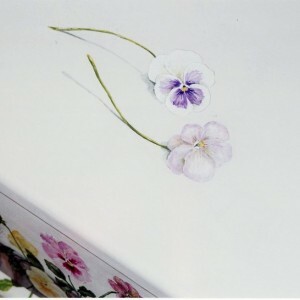 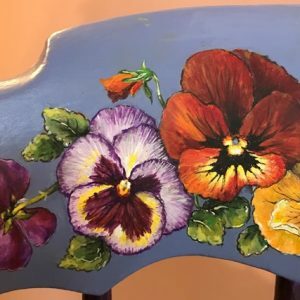 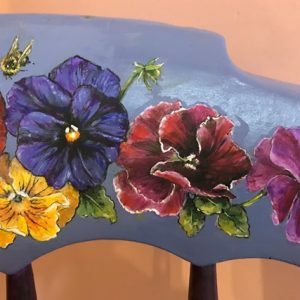 There are a dozen varieties of Pansies among the 16 hand painted blossoms, plus several buds, fading flowers, leaves, seed pods and one burst open seed pod. 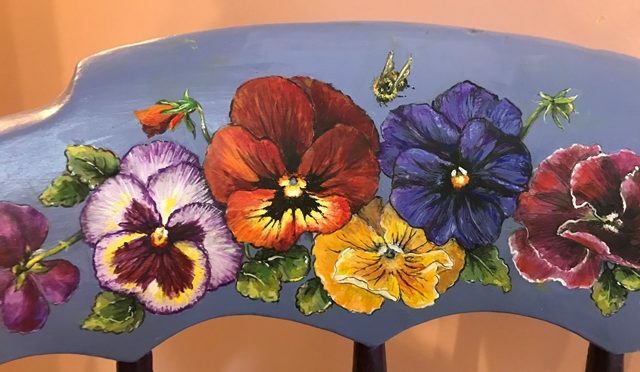 I painted a lovely fat honey bee and a lady bug. 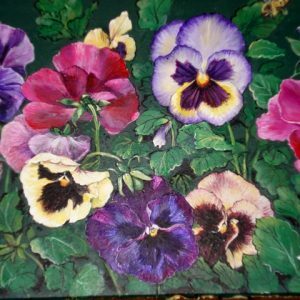 Pansies are very special flowers! 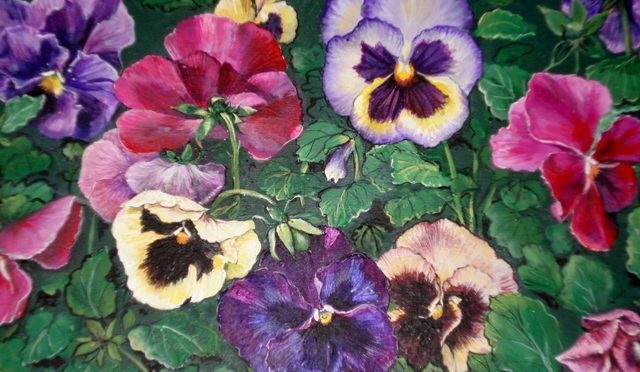 Not only do they have a multitude of faces and colors but they are very happy in the cold! 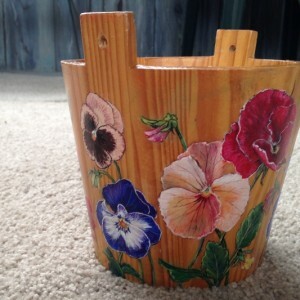 I set them on the front stoop while snow is still melting! 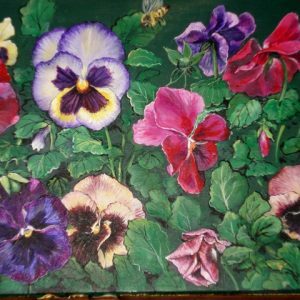 Yay Spring!! 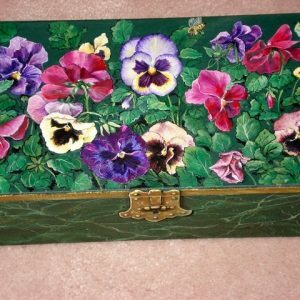 Contact me through this site if you are interested in purchasing this item for $50 including shipping and handling within the United States. 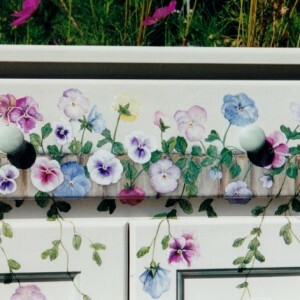 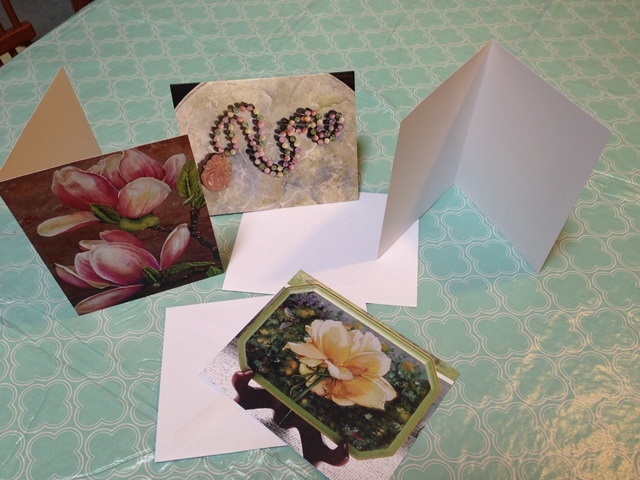 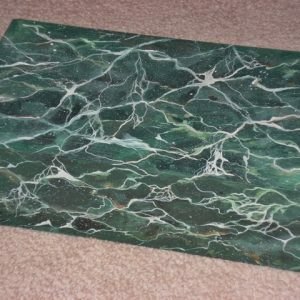 I will include a small plastic liner so that you may use it as a jardiniere if desired.